Sharp war cries offer a terrifying warning, as the seafaring raiders reach the shore. Behind the ocular mask of the Viking Leather Helmet, fierce eyes reveal the determination of the Norse warrior boldly leading the way to battle. Thick 9-10 oz. 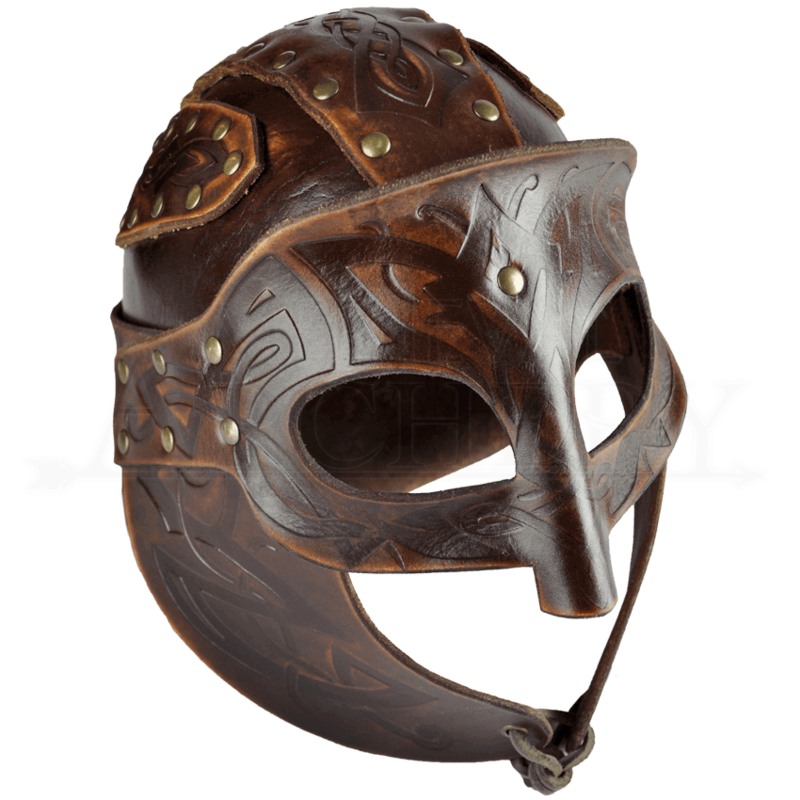 leather encases the Vikings head in strong protection from crown to chin. The brow and temples feature an ocular mask with a flared ridge and rivets for increased deflection. Segments enhance protection at the crown, jawline, and back of the head. Nordic vine patterns compliment the Viking inspired design throughout. This helmet is certain to prove useful on the LARP battlefield.